Dehumidifiers are used for reducing the level of humidity in your home as well as reducing odours, the possibility of developing mould and mildew, and irritation to your skin and respiratory system. They are especially great for basements where things like bacteria, mold, mildew, dust, and condensation are more likely to occur. Excess moisture in your home can also take a tole on your heating and cooling system, so owning a dehumidifier will help keep costs low in the long run. 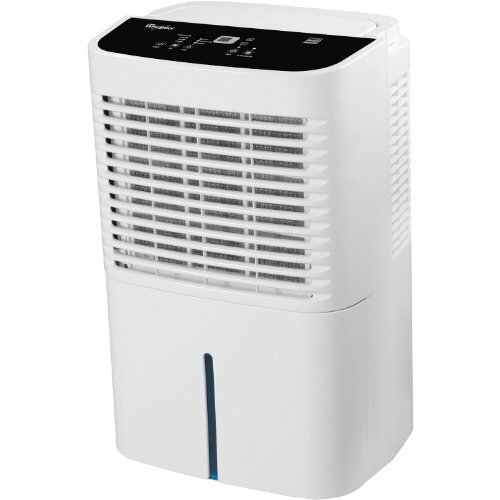 Below is a list of top 10 best dehumidifiers for basements available. This ENERGY STAR dehumidifier from Frigidaire will protect up to 2,500 square feet of your home from mold and mildew. It holds up to 16.3 pints at one time and maintains an automatic shut off feature with a full tank alert system that goes off once maximum capacity is reached. The bucket is located in the front and features a handle for an easy pull out along with ingenuitive splash guard technology. Both these features are great for preventing overflow from happening. Continuous operation is possible within distance of a suitable drain. The unit also allows you to effortlessly control the percentage of humidity in your room with electrical digital humidity readout controls. This unit includes a three-prong power cord that extends an impressive 6 feet, making the use of an extension cord unnecessary. It’s convenient SpaceWise design includes a top handle as well as integrated side handles and caster wheels that allow for ease of access and make it easier to move. The unit’s Star Energy efficiency offers a lower temperature operation that will save you money and energy. 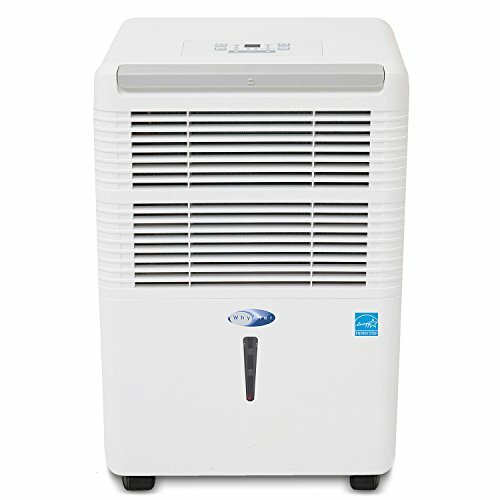 Whynter’s 50 pint Energy Star dehumidifier is a high capacity unit that features an adjustable humidity range of 35-85% and a 14 pint removable water bucket. It’s normal operating level is below 58.5BA for optimal noise reduction and energy efficiency. This dehumidifier’s innovative design is built for a high capacity performance and can tackle airborne bacteria in enclosed areas as large as 3,000 square feet. Additional features include a 24-hour timer with automatic shut off, an automatic defrost function to ensure moisture does not freeze and prevent further extraction, and electronic controls with high level humidity sensory settings to ensure optimal convenience. 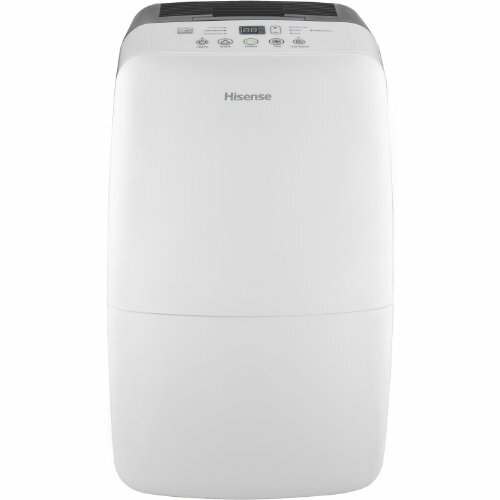 The Energy Star dehumidifier by Hinsense features a built in pump that drains up to 70 pints per day in spaces up to 1,500 square feet. It includes a hose attachment, but does not include the hose, and is able to pump water upward and continuously out a basement window or into a sink. This dehumidifier has 3 operating modes that include a manual set, automatic dry, and of course the versatile continuous option to guarentee optimal use. It also holds a washable filter with a “clean filter” indicator light and digital display that shows relative humidity levels. Additional features for the dehumidifier include a 24-hour programmable on/off timer, full tank alert shut off, adjustable humidistat, as well as caster wheels and power cord storage that make this unit a breeze to move and store. 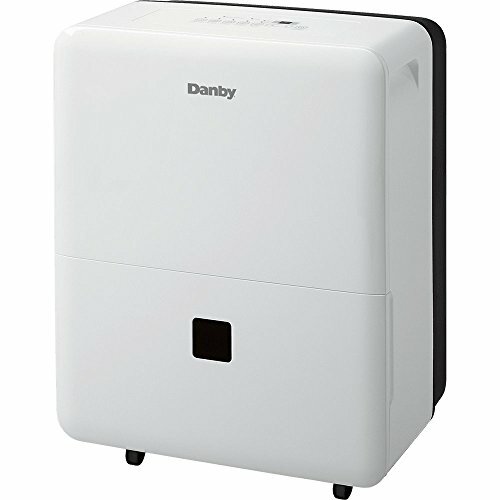 This dehumidifier by Danby will keep you safe from airborne bacteria and mold spores in areas up to a whopping 4,500 square feet. This amazing unit also features an Energy Star rating and environment friendly R410a refrigant which will help the ozone layer and help you cut down on your electrical costs. There is a low temperature feature that enables this dehumidifier to operate in temperatures as low as 41 degrees Fahrenheit with an added de-icing feature to ensure that your coils will not freeze up. Additionally this unit has an automatic restart, a high and low 2 fan speed, castors for easy portability, continuous operation, and a removable air filter that is easy to clean. 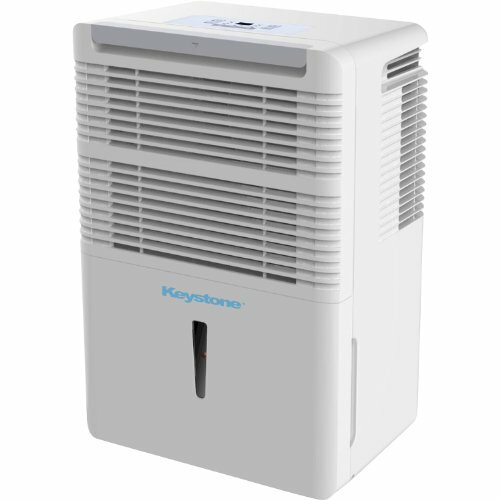 The Keystone Energy Star Dehumidifier holds 3 key settings that include normal, turbo, and of course automatic defrost. It removes up to 50 pints of moisture from the air per day and covers up to 3,000 square. The unit also includes a full bucket alert system with automatic shut off along with a “clean filter” alert system. 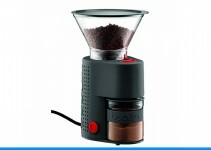 The filter is removable and easy to clean and a continuous drainage option is available. Hose is not included and can be purchased separately. This dehumidifying unit’s additional features include caster for easier moveability, a 24-hour timer, transparent water level indicator, and an Energy Star rating that will help cut costs with the use of the product. This dehumidifier from Whirlpool offers a lot of great features including a 2-gallon capacity bucket, option for continuous use near a drain, and a handle with casters for easy use and moveability. The unit also has a “clean filter” indicator light with a washable filter and 3 modes that include automatic dry, normal, and continuous with the use of a standard garden hose. This dehumidifier is perfect for smaller spaces and removes up to 50 pints of moisture every 24 hours in spaces as large as 1,000 square feet. 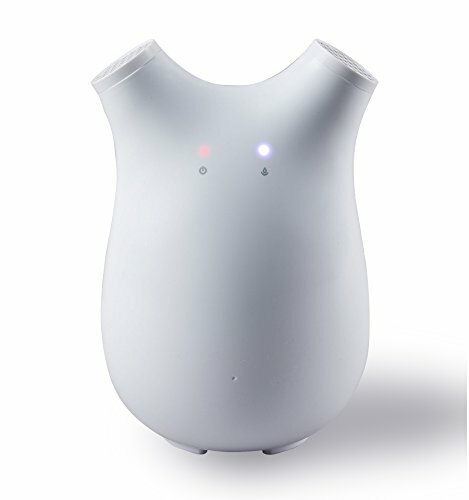 It’s additional features include a 24-hour programmable on/off timer, automatic shut off, adjustable humidistat, and an eco-friendly affordability that can’t be beat. 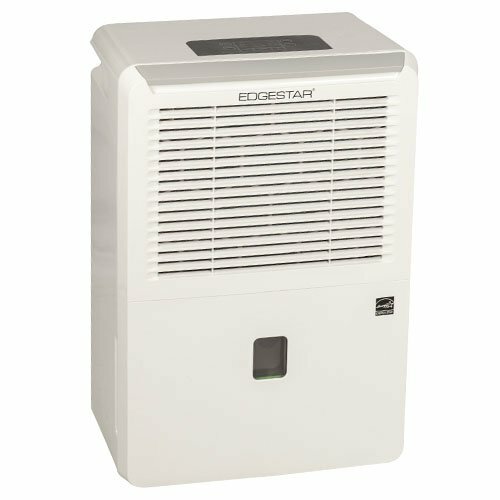 With adjustable humidity levels between 35-80%, quiet operation, and a 7.5 liter water bucket that removes moisture in ares up to 3,000 square feet, this dehumidifier by EdgeStar offers great capacity as well as affordability. It also offers low temperature operation with a minimum temperature of 41 degrees Fahrenheit, an automatic de-icer, 2 fan speeds, and an automatic compressor turn off when room reaches desired humidity level. This unit is compact but loaded with tons of great features that make this model a versatile and suitable match that will ensure comfort and safety in your home. 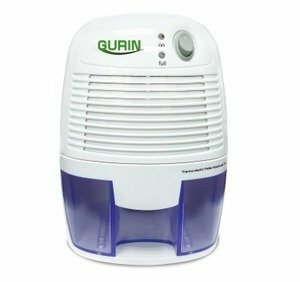 This dehumidifier by Gurin may be small in size but still offers a lot of really great features at an incredibly low price. This compact unit holds up to 2 cups of water at a time and removes moisture in up to 1,000 cubic feet. 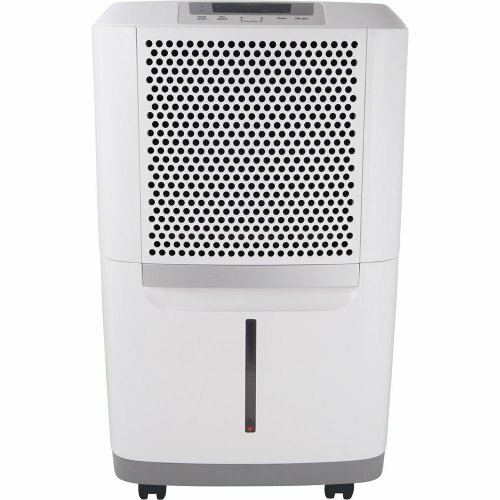 It’s little size offers whisper quiet technology and is the perfect dehumidifier for small space living. The unit’s additional features include an automatic shut off for when the reservoir is full, a built in LED indicator to alert you when it is full, and a 9v DC power adapter. It’s a cute size at 2.6 pounds, is easy to use, and is sure to be the perfect fit in protecting any small to medium space from humidity and airborne bacteria. This tiny machine may not look like much but it’s innovative design packs a powerful dehumidifying punch with it’s advanced semiconductor technology. It offers 15 ounces of water absorption per day in spaces up to 1000 cubic feet. This unit is convenient, easy to use, and provides 3 different settings with just the touch of a finger. These settings include normal, sleep mode, and strong dehumidify. 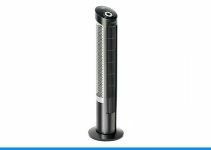 It’s sleek and silent design also offer automatic shut off, a high quality SiO2 hygroscopic crystal activated carbon filter, and will keep your space dry and odor free. 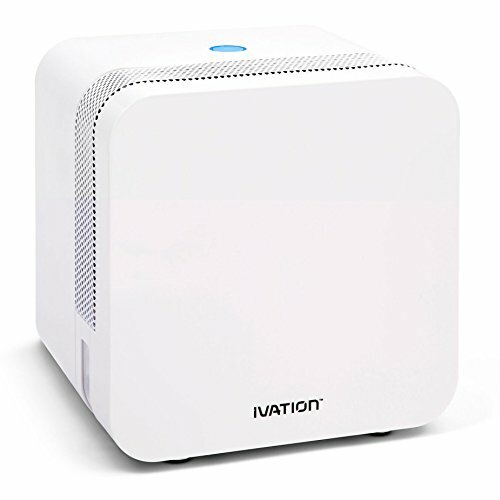 Ivation certainly brings the best with this miniature quiet operating dehumidifier. It’s cutting-edge design holds a 22 once water reservoir, for 2 days of nonstop operation, and removes moisture in up to 200 square feet. 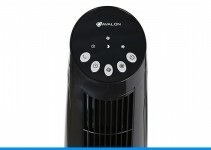 This smart little unit is a highly capable machine that offers a remarkably effective solution to excess air moisture that is great for small space living. There you have it. There is sure to be something for everyone in our selection of the best dehumidifiers for basements.